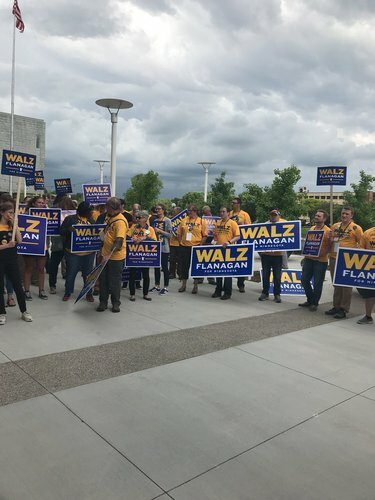 Folks are getting cranky here at #DFL2018 . 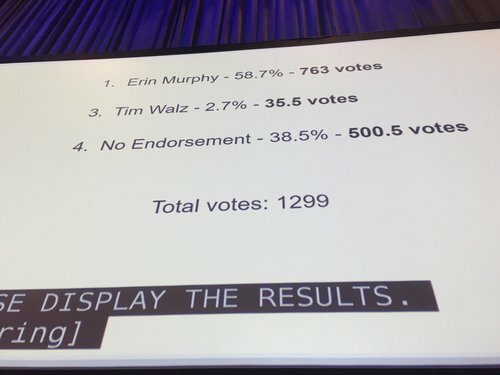 Ignoring rules to not make speeches from the floor during votes, some upset time between balloting was shortened. Not enough time to go to the restroom. 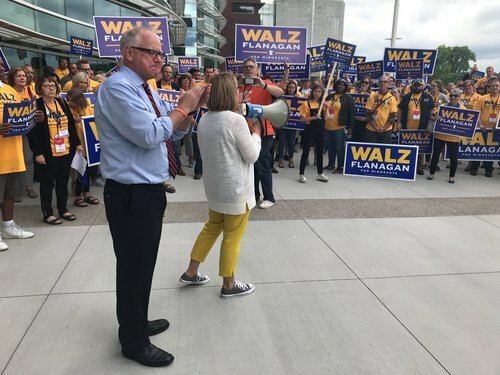 Tim Walz has withdrawn, according to DFL Chair Ken Martin. 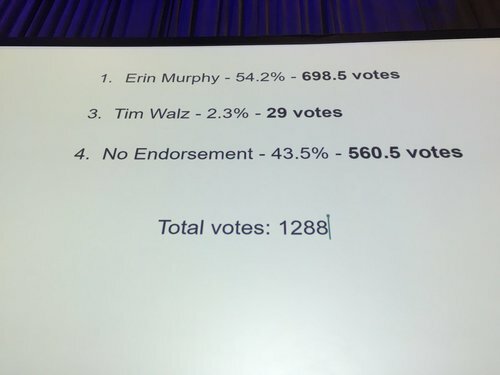 Delegates endorse Erin Murphy. 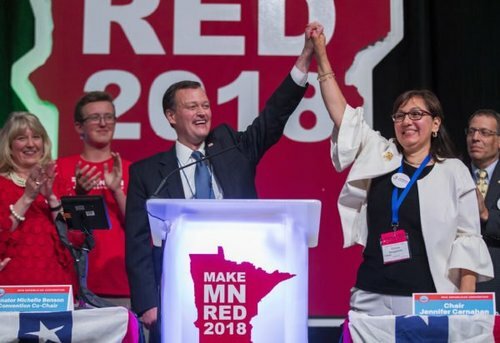 That's a wrap for MPR News' Saturday live blog from the 2018 Minnesota DFL Party state convention in Rochester. 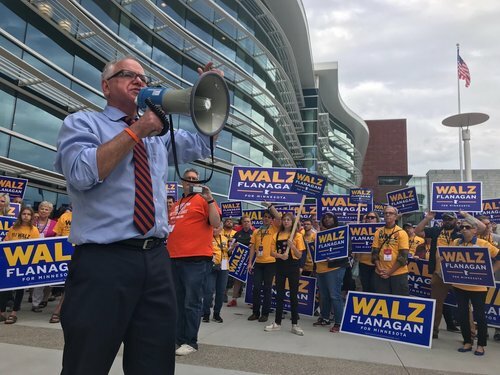 Thanks for reading, and keep following MPR News for political coverage this election season. 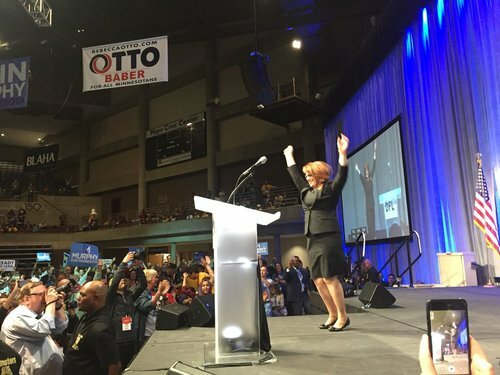 DFL-endorsed candidate for governor and former House Majority Leader Erin Murphy will announce her running mate from the stage at the DFL convention this afternoon. 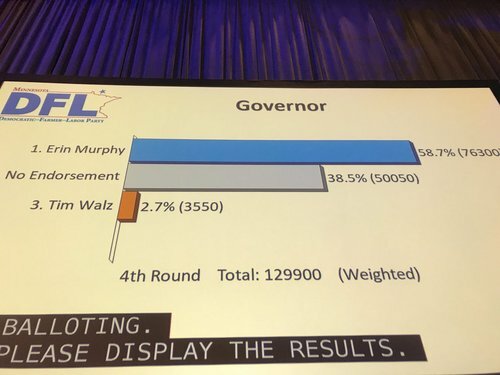 She will make the announcement following the endorsement for state auditor at approximately 1:45pm. 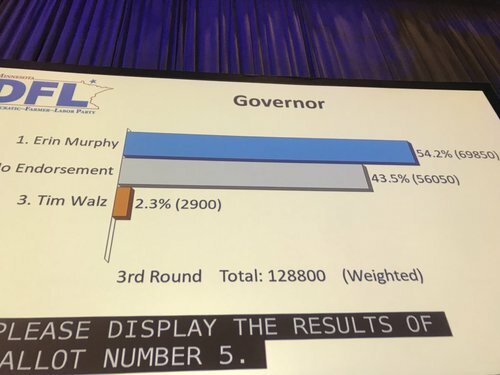 That's a wrap for MPR News' live blog from the 2018 Minnesota DFL Party state convention in Rochester. 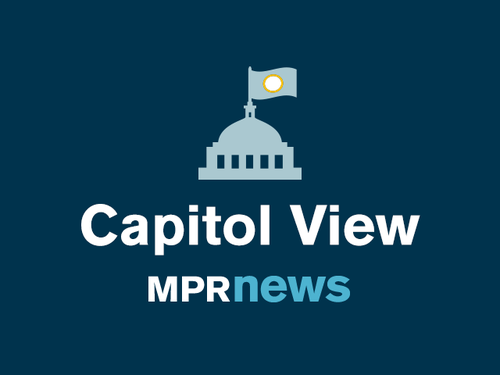 Thanks for reading, and keep following MPR News for political coverage this election season.